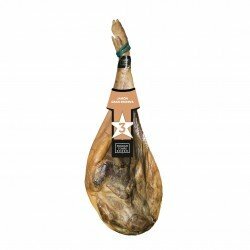 Now you can eat a delicious Jamón Serrano without remorse with a sachet like this, with 80 grams of sliced Jamón G. Reserva, from white pigs of non-Iberian breed. The sachet of Jamón Gran Reserva Zero Zero is a perfect product to include in your diet; it is the usual Jamón, but degreased meticulously, by hand, by our Jamón experts. Take advantage and try the new light Jamón of Enrique Tomás, healthier impossible! The Zero Cero range of products by Enrique Tomás was born with the aim of opening a niche in the healthy world and covering the need to eat healthier and watch the weight, without leaving an exquisite product such as Jamón ibérico off the menu. From now on, in all our stores you will find 80 gram sachets with the best jamón in the world, a high quality jamón completely defatted. The slices of all these sachets have been cut by the master experts of Enrique Tomás, who carefully and using their experience, remove by hand all the external fat from each slice, leaving a product ready to eat with no regrets! With regard to the famous question of whether or not Jamón fattens, contrary to what most people think, we should make it clear that jamón does not fatten as long as it is eaten in moderation, nor does it fatten bread as long as it is not abused. 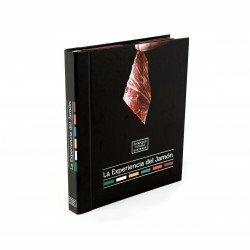 As with all foods, the bad thing is to abuse it, but as we know that deciding when to stop eating jamón is a difficult matter to control, we now have a Zero Cero range of jamón, light jamón products that you can eat whenever you want without fear of fat increasing the calories in your diet.